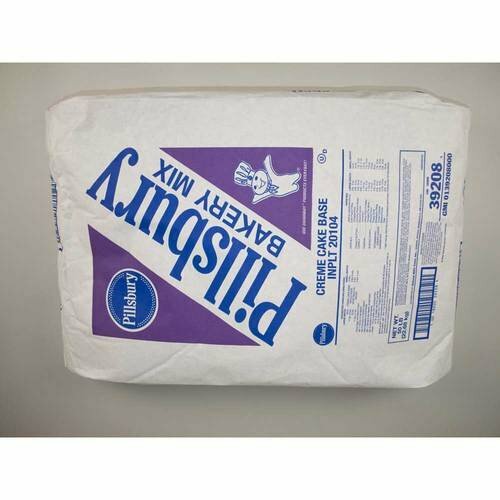 Mix Cake Regular Cream Base 50 Pound Versatile Pillsbury? Creme Cake Mixes and Bases allow you to create a multitude of moist, delicious, super-rich specialties from one easy mix. Pillsbury's? versatile Creme Cake mixes and bases are ideal for suspending fruits, nuts and other particulates. Directly from factory in ARGENTINA, authentic ethnic handcraft. 100% natural gourd, covered by 100% argentinean leather. All placed in a very convenient nickel base. Widely used in all southern South America. Natural energyzer drink, and power source. 100% natural drink, in 100% natural mug. Originated with the ancient pre-colombus indians.